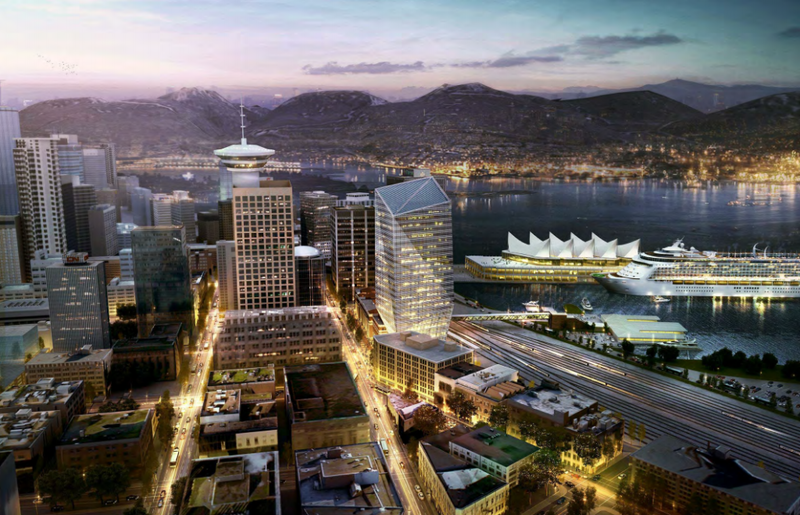 City of Vancouver planning officials have deemed a proposed 26-storey Waterfront Tower “too tall” for a site next to downtown Vancouver’s Waterfront Station based on existing allowances. The tower at 555 West Cordova Street is a project by Cadillac Fairview, which also owns and manages the historic 1912-built CPR Station, and designed by internationally renowned Chicago-based Adrian Smith + Gordon Gill Architecture with input by local firm B+H Architecture. Smith is responsible for designing the Dubai’s Burj Khalifa (completed in 2010) and Saudi Arabia’s Kingdom Tower, the world’s new tallest when completed in 2018. 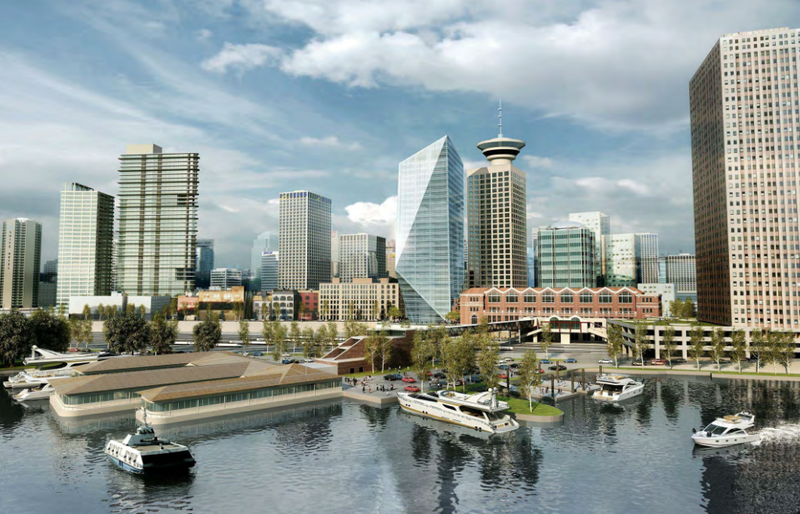 The Waterfront Tower proposal is currently in the pre-application stage and has received general support from the municipal government’s Vancouver Heritage Commission (VHC) and Gastown Historic Area Planning Committee (GHAPC), which spent the past year reviewing the project before it proceeds to the Development Permit Board stage in spring 2015. 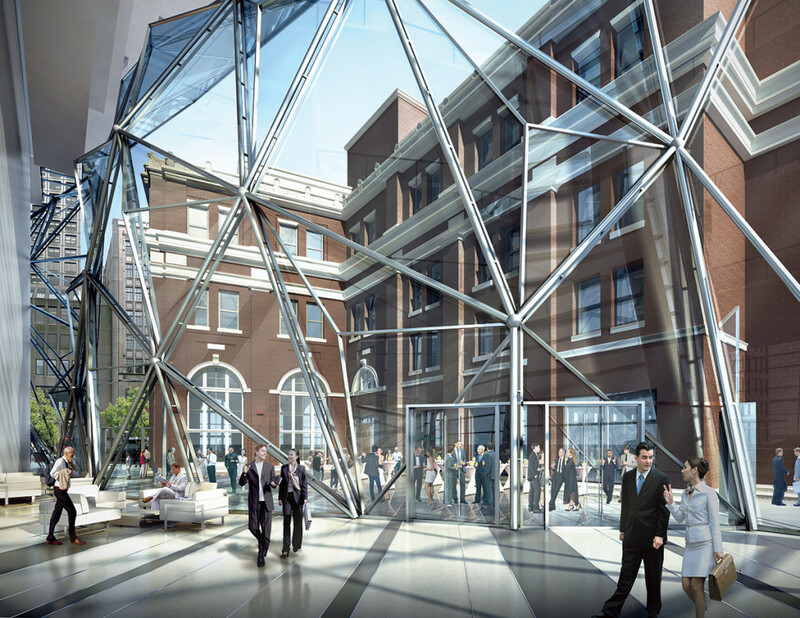 The tower will be built at the outdoor Impark parking lot, between the historic 1912-built CPR Station and The Landing building, consists of retail space on the street level and office space above. 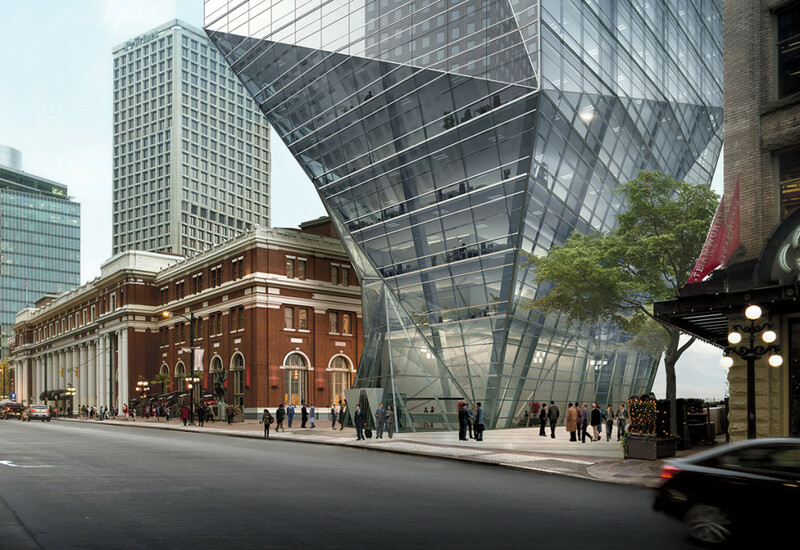 Proponents of the project have described the tower’s design as an “origami” at its base where it meets the CPR Station building while the sleek geometric upper elevations can be likened to the original design of the new World Trade Centre in New York. 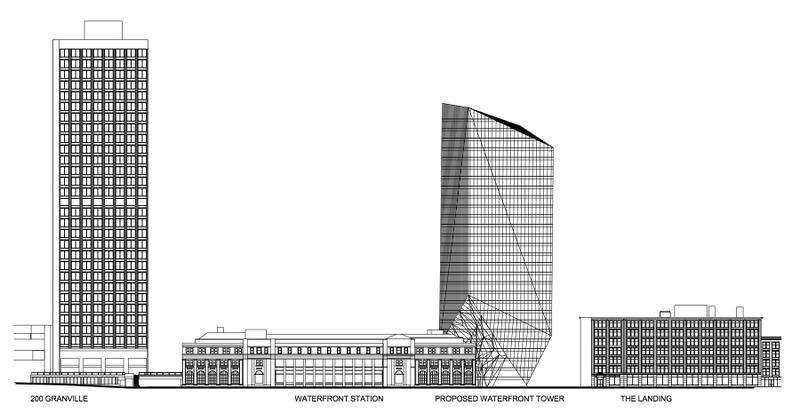 The tower’s design has since been modified with a decreased height and resubmitted to continue the pre-application process. 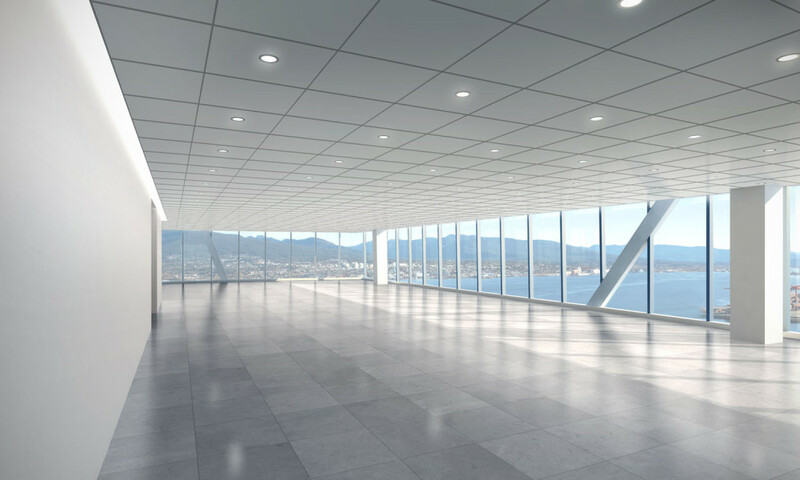 The building area has been reduced from 408,500 square feet to 356,000 square feet. Given its location, should 555 West Cordova be taller? 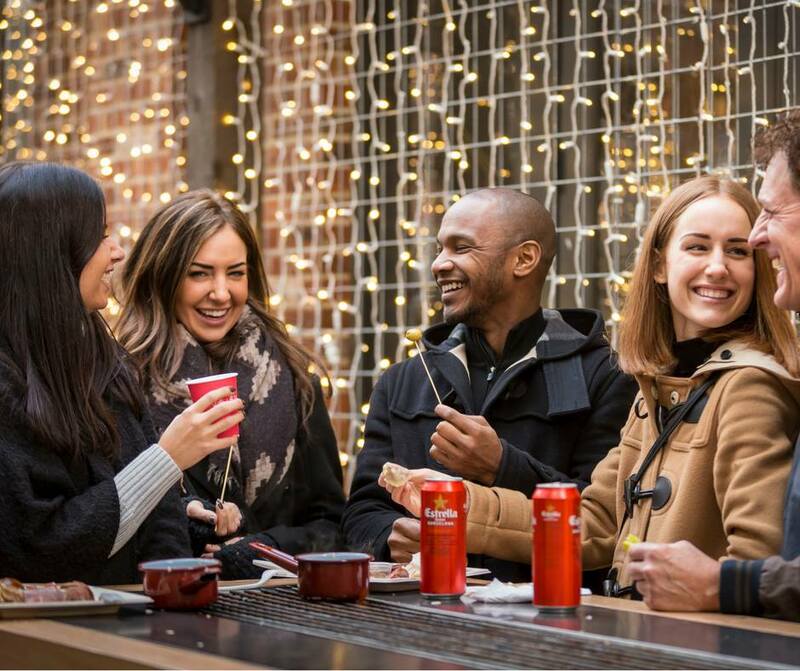 The City of Vancouver has maintained that its view cone policy with 27 protected view corridors are designed to insulate views of the North Shore Mountains from the city area. Proposed development projects are not permitted to reach a height that intrudes into any of the established view cones, which are designated to protect mountain views from highly arbitrary locations. The view cones restrict development projects from reaching the full economic potential – it hinders the creativity and economic feasibility of designs, especially in the relatively small Central Business District environment where real estate is expensive and the cost of construction is high. The concept of economies of scale seems to be lost among municipal officials who have entrenched the restrictive view cone policy into city development with few leniencies for even special projects. 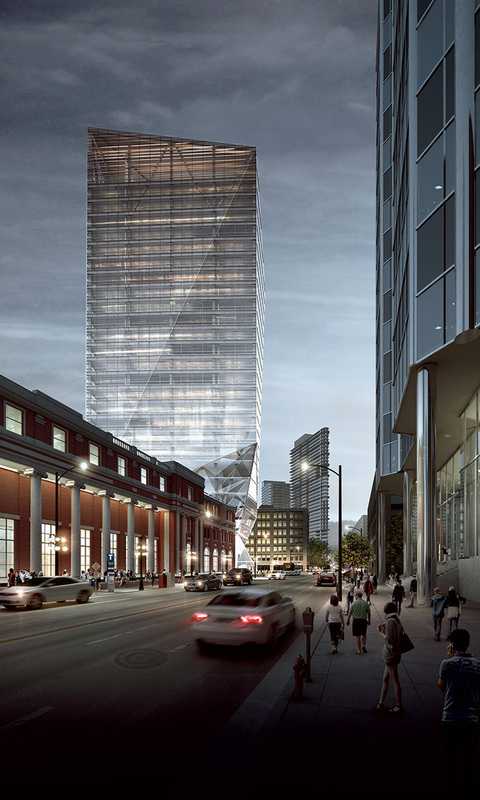 With an architecturally unique tower like 555 West Cordova situated in the heart of the Central Business District and immediately adjacent to billions of dollars worth of public transit investments (SeaBus, SkyTrain lines and the West Coast Express), this is a project where height and density should be encouraged – not restrained. 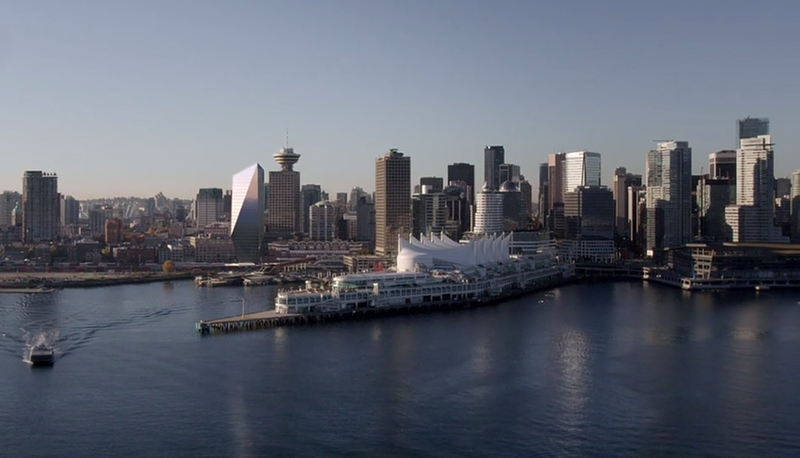 There is an opportunity to build an architecturally unique and tall building at this highly visible location as a means to puncture Vancouver’s drab flat shaped skyline, which has been flooded with unimaginative “cookie cutter” designs. While the City recently implemented a “General Policy for Higher Buildings,” the exception is only applicable for designs that create a new “architectural benchmark” within a small area of the heavily developed portion of the Central Business District and a handful of sites on the north end of the Burrard and Granville Street Bridges. 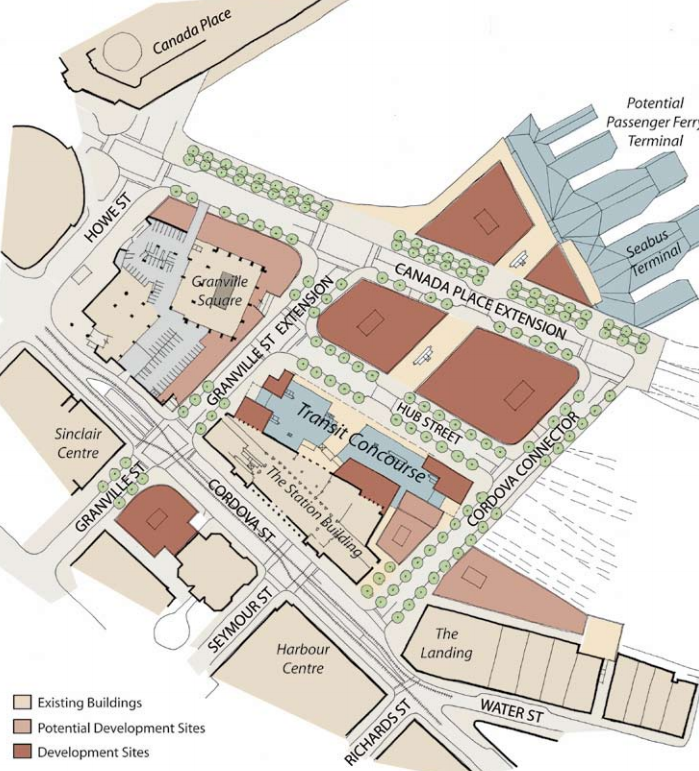 The area around Waterfront Station is not included in the exception. 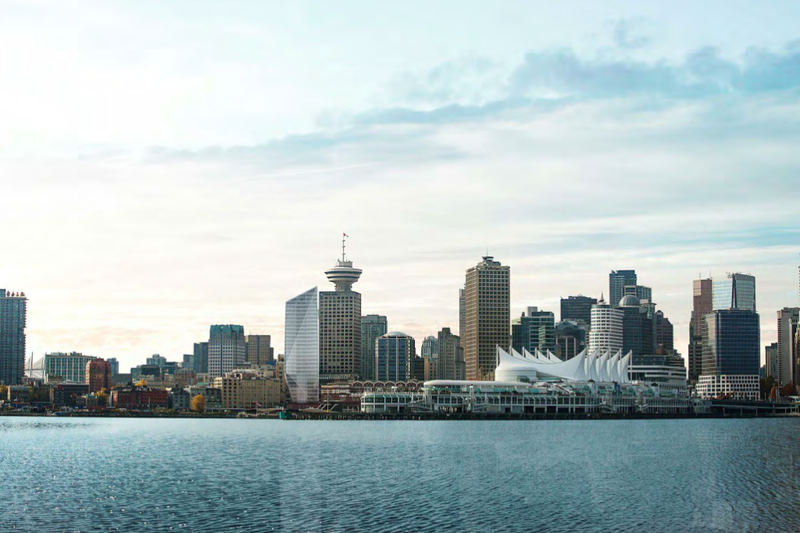 The 555 West Cordova site is part of the municipal government’s long-term plan to revitalize and develop the Waterfront Station transit hub complete with new city streets, public spaces, office towers and an expansion of the transit station’s area which includes a new SeaBus terminal. 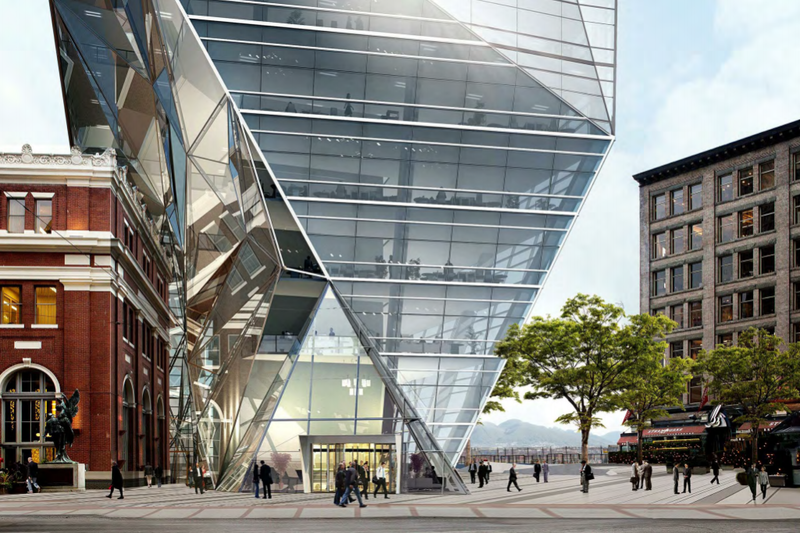 A number of office towers are also planned within the immediate vicinity, including 601 West Hastings and 320 Granville Street.